During a panel at PAX East today, Double Fine Productions announced that their record-breaking Double Fine Adventure Kickstarter project is officially titled Broken Age. Backers of the project have long had the inside scoop on the upcoming adventure game, but with today’s announcement Double Fine has opened up a website that lets the rest of the gaming world get their first peek at the title. The Double Fine Adventure Kickstarter project pulled in an impressive $3.3 million last year, which slightly exceeded its original goal of $400,000. 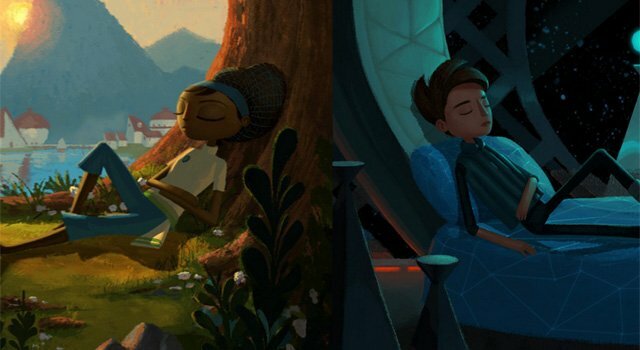 If you are looking to get in on the project, Double Fine is still taking donations for Broken Age via pre-orders on the game’s website, or through a “slacker backers” program. A $15 pre-order/donation gets you a DRM-free copy of Broken Age for PC, Mac & Linux, while a $30 pre-order/donation throws in access to the backer-only forums, all episodes of the 2 Player Productions’ documentary, development materials, and a digital soundtrack. Broken Age still does not have a publicly-announced release window, however, Tim Schafer indicated last year that the Kickstarter money would let them “put a real team on [the project] and have a whole year to make it”. While that is far from official, it does seem to suggest that we might see the game’s launch later this year. We will keep an eye out for any additional information on Broken Age, and let you know as soon as it is made public.